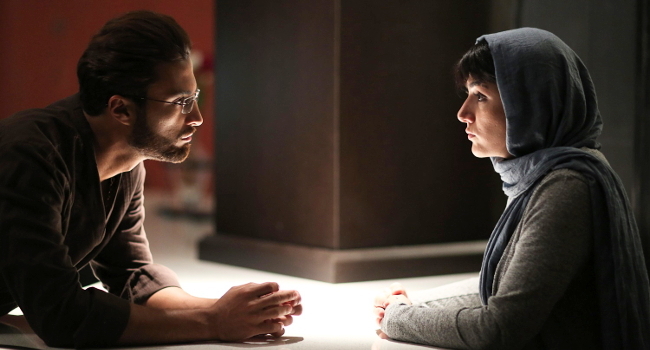 This Iranian film features a couple of ideas that will be familiar to fans of global cinema. Firstly it constructs a narrative about the attempts of patriarchy to restrain women’s rights to engage with and enjoy football, as in Jafar Panahi’s Offside (2006). Secondly, it plays out a court procedure with the camera trained on a warring married couple while keeping the judge offscreen. Although the framings and composition are different this scene resembles the well-known one at the beginning of Asgar Farhadi’s A Separation (2011). The sport in the film is actually futsal, an indoor football game played by by both men and women with five players per side. 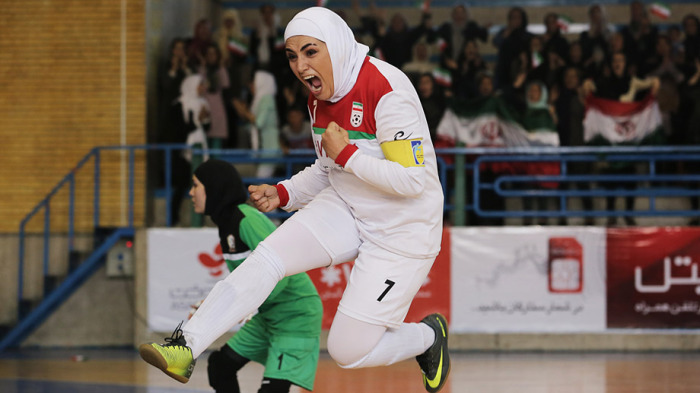 Since 1999 Iran have won all but three Asian Women’s Futsal Championships. They have also reached the last four of the Fifa World Championship. 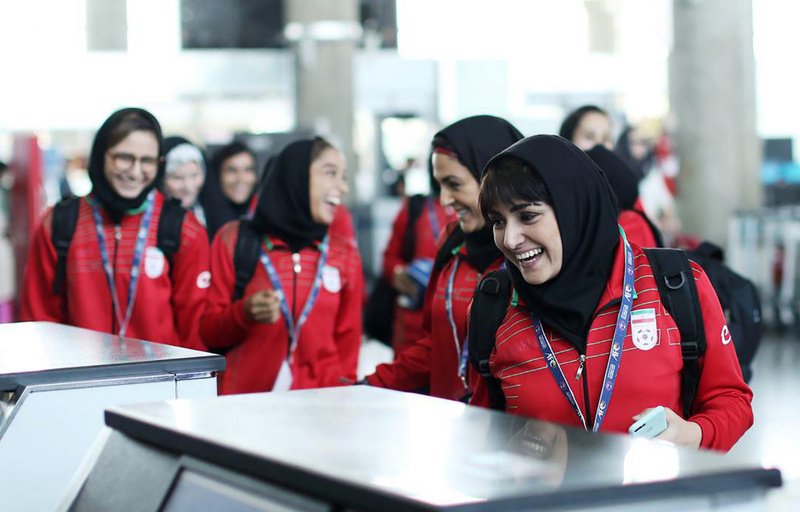 The game is very important for female athletes in Iran and the focus in the film is on the national team’s (fictitious) captain and main goalscorer Afrooz (Baran Kosari). When the team travels to the airport to fly to Malaysia for the Asian Championships, Afrooz is stopped by passport control and told that she cannot leave the country because her husband has not given his permission (which presumably he has in the past since Afrooz is the team’s top player). Afrooz tries to contact her husband Yasser, a daytime TV host. But the couple haven’t lived together for some time and in fact Afrooz is living with another team member Panatea in a flat also owned by her husband. Yasser (Amir Jadidi) does everything he can to prevent Afrooz leaving, including physical harassment. The legal conundrum is that Afrooz must either get his permission to travel or obtain a divorce, which seems very difficult in the couple of days before the games begin. I won’t spoil the narrative of a film by detailing the plot since the film should appear in the UK at some point. The legal issue is quite complex as is often the case in Iran. I’m not sure how constitutional law works in Iran but in most of the films I’ve seen the judiciary seem thorough and fair. It’s the laws themselves that are restrictive. The husband is an extremely annoying character. He’s egotistical, forever preening himself and simpering on TV. Afrooz herself is strong and decisive but also quick to anger (a team captain in the Roy Keane mould). She has every right to be angry since she also has to contend with the woman she has hired as a lawyer who seems more interested in making the case into a media event and the woman who is in effect the team manager and chaperone and who acts as the link to the National Federation. Apart from Panatea, will the rest of the women on the team support her? A short sequence of a game shown in the early part of the film gives a good representation of the passion of both the players and the fans but I wonder if the struggle by Afrooz to assert her rights is equally well-handled? The trick that Panahi and Farhadi employ so well in these kinds of narratives is to find the humanism in the situation as well as the humour, anger, pathos, frustration and commitment. 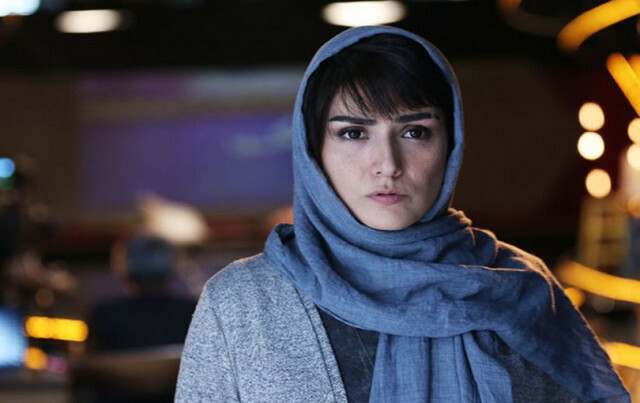 Writer-director Soheil Beiraghi has got the basis of a good story here (based on real events) but perhaps the script could be developed a little more? Having said that, it is only his second feature as a director and he does create emotional scenes fitting for a melodrama, using close-ups and lighting to show the effect on Afrooz. The film has been generally well-received at festivals and some critics have been very impressed. It’s certainly well worth looking for. There is an unwritten rule of European film distribution that comedies struggle to overcome language barriers, so in the UK we only rarely see the sometimes very popular local comedy hits from France, Germany, Italy or Spain. The Online French Film Festival offers a chance to see a range of French films and this year MUBI have streamed a couple of the films on offer. Comme des garçons is, in one sense, very familiar as a sports comedy but one with a serious purpose – always a tricky mix and to complicate things further it is based on real events. The different factors involved in its conception introduce different genre elements and the main task for director Julien Hallard is to keep the different elements working together. 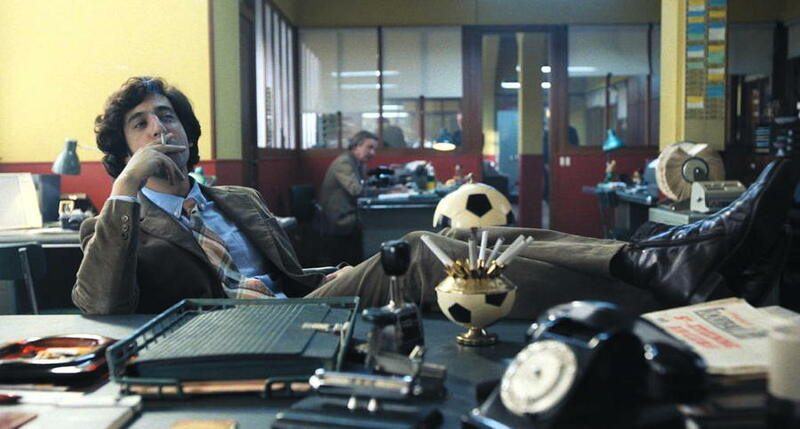 It’s 1969 in Reims, the centre of Champagne, and in an engaging opening sequence we see that all the staff of the local newspaper are glued to transistor radios listening to the unfolding tragedy of their local football team’s relegation to Division 2. Reims was at this point one of the best known and historically successful teams in France. The paper’s young(ish) sports reporter Paul Coutard (Max Boublil) makes a hash of covering the story and his punishment is to organise the paper’s annual charity event alongside his nemesis, the editor’s PA Emmanuelle (Vanessa Guide). Paul decides to try something completely different, a women’s football match. Coutard is a sad character who thinks he is ‘hip’ and initially imagines it will be fun to audition young women for a team and enjoy watching them run around in tiny shorts. I won’t spoil the rest of the narrative which is fairly predictable but I’ll note that the original newspaper scenario seems to be abandoned only to turn up in another guise – Paul’s actual job seems to disappear but his antics with the women’s team become fodder for the tabloids. 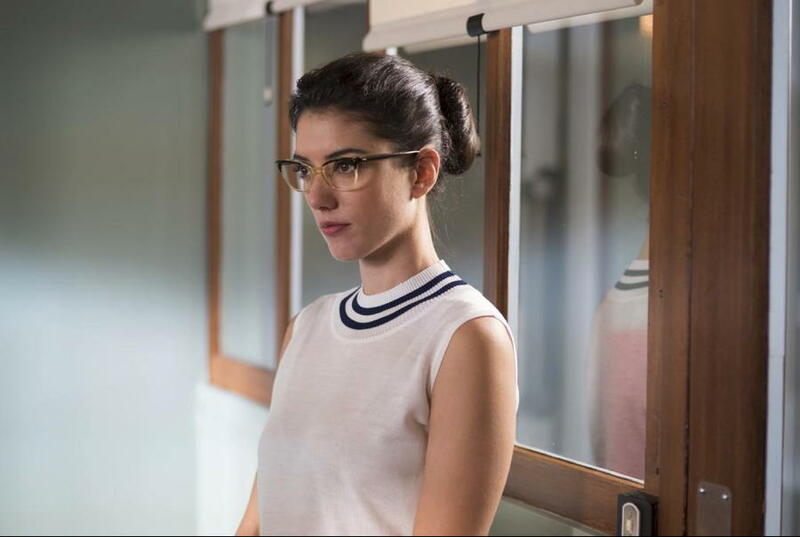 The comedy becomes a rom-com when Emmanuelle removes her glasses but the sports story, although it utilises several familiar genre narrative devices, doesn’t head for the usual sporting triumph. 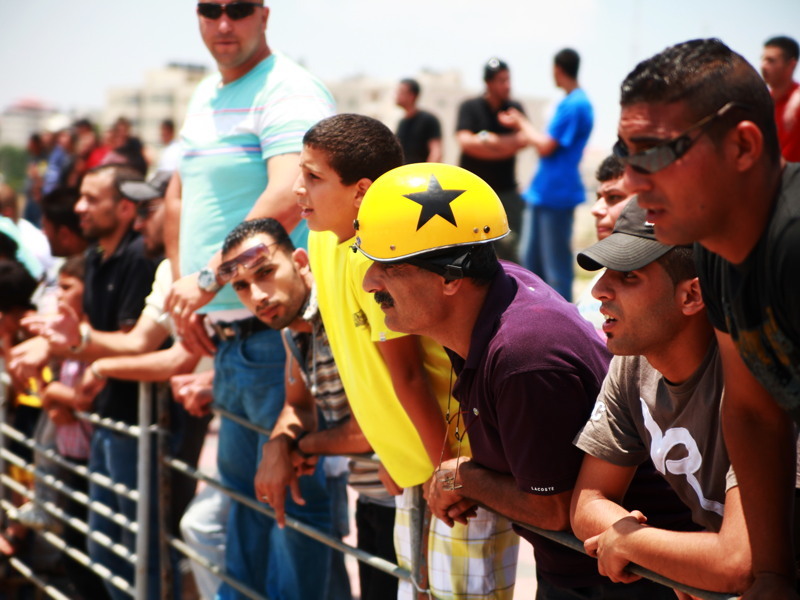 Instead the contest is really about the struggle to get women’s football taken seriously. 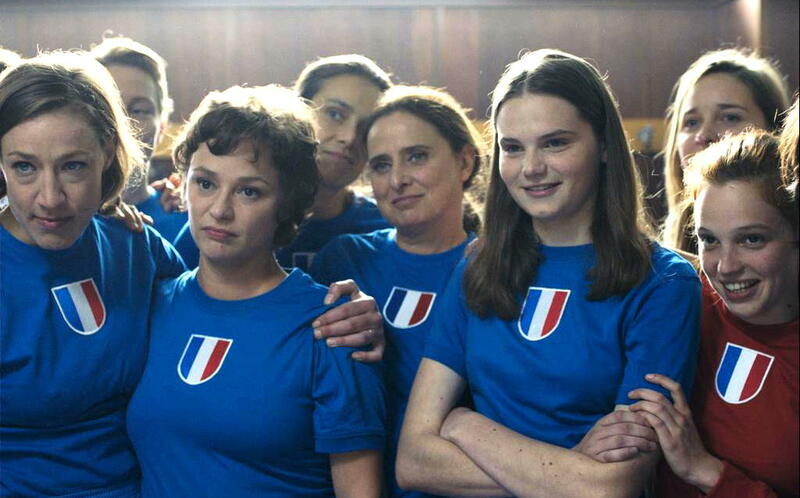 The real historical events do seem to show that France was surprisingly behind most other European countries in the 1960s in the complete lack of any organised women’s football in the face of the intransigence of the national federation to even consider licensing women’s teams. (As in the UK there was a long history of organised women’s football and French and English teams met in front of large crowds in the 1920s but soon after, the national football authorities banned women’s football from professional stadia). The final repertoire that Comme des garçons therefore draws on is the ‘social problem’ of sexism in 1969 – not much different to sexism today. The struggle is represented partly through the comedy and this is where the film does become quite heavy-handed I think. But it did remind me of some of the broader comic moments of 1960s/70s films like Nelly Kaplan’s La fiancée du pirate or François Truffaut’s Une belle fille comme moi (France 1972). It’s modern links are to a film like Populaire (France-Belgium 2012) which is a 1950s set romantic comedy melded with a sport/competition film about ‘speed typing’. That film boasted the star power of Romain Duris and Déborah François and a much stronger aesthetic sense. Comme des garçons has fun with its 1969 vintage vehicles, its pop soundtrack and occasionally with costumes but I didn’t feel a strong sense of time and place. I discovered afterwards that one of the dialogue writers, Claude Le Pape had also worked on Les combattants (France 2014). Perhaps she might have played a bigger writing role? I struggled to read an interview in French with writer-director Julien Hallard and I wasn’t convinced about his overall approach. 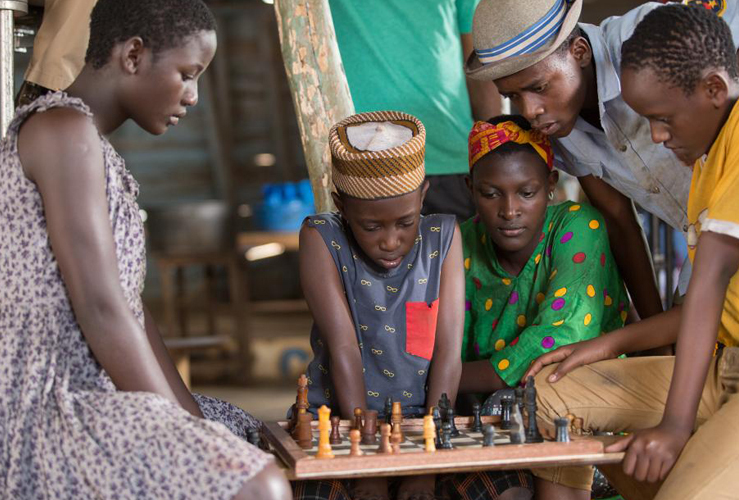 Queen of Katwe is a ‘Disney movie’ set in Uganda. But it’s also a Mira Nair film and part of David Oyelowo’s overall project to bring African stories into mainstream cinemas. These three factors ought to combine to create a significant box office hit. The film itself is very good and had the same emotional impact for me as A United Kingdom. Unfortunately, however, Disney as a corporation seems to tripped up in trying to promote the film. There are many websites, videos and stories online about the original project and the Disney film, so perhaps the problem is that the Disney brand is so deeply embedded in the public consciousness that audiences are unable to negotiate it in different ways. Either way, the result is that despite an initial ‘wide’ release in the UK and US, Queen of Katwe hasn’t found the audience it seeks. I finally managed to get to a local screening organised by Keighley Film club, which is able to screen films in our 1913 Picture House. 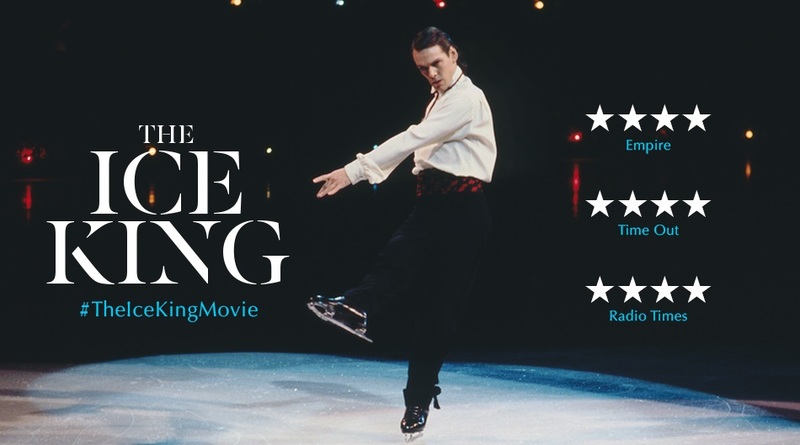 I hope many more find it on DVD/Blu-ray and TV in the coming months. Phiona (Madina Nalwanga) collects water in Katwe. The story is set in Katwe, a district of Kampala (population 1.5 million) the capital of Uganda. It’s a true story and in the final credits we meet the ‘real’ characters in the drama. Katwe appears to have a reputation both as an innovative centre for artisan manufacture and as a sprawling ‘slum’ district. In the film it comes across much like the shanty towns of other African cities with low quality housing thrown up alongside the railway track. In other descriptions, Katwe is presented as the worst kind of slum with no sanitation, no secure accommodation and a trap into which the poor from rural areas and other parts of the city are destined to fall. As photographed by Nair’s cinematographer Sean Bobbit it looks bright and lively, but also plagued by sewage and subject to flooding. In this unlikely setting Harriet (Lupita Nyong’o) is the single parent of three children. The two younger children, close in age, are Brian and Phiona (Madina Nalwanga) and it is the latter who is the focus of the film. (The older daughter Night provides the illustration of what Phiona might become if she gives up the discipline of chess.) The film’s title logically refers to Phiona who, through her success in chess tournaments, will become a celebrated media star. But it is also possible to see her mother as a ‘Queen’, simply on the basis that Lupita Nyong’o is such a stunning star presence with the stature of a model and the experience of red carpet occasions as well as her own distinguished family background. There is no reason why mothers in Katwe shouldn’t be beautiful, but Nyong’o certainly stands out. 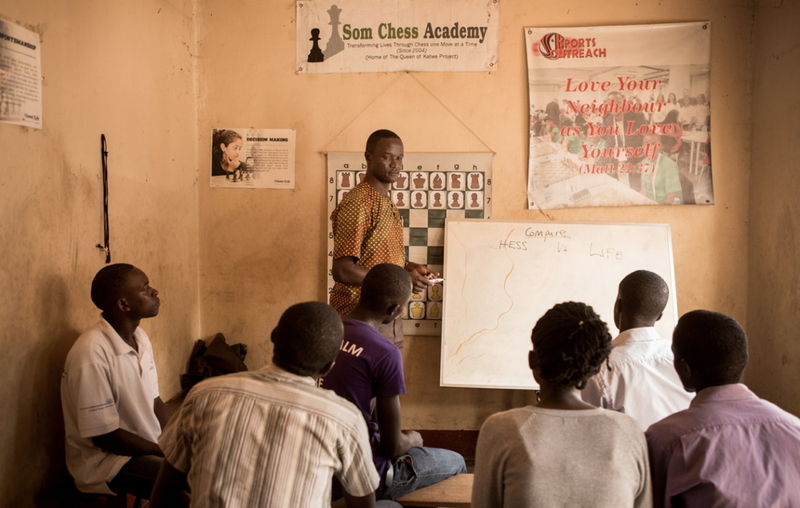 Robert Katende teaches a class at the Katwe Chess Academy, which he founded in 2003. Phiona discovers chess alongside Brian in a community ‘school’ run by an outreach worker for a Christian charity. Robert Katende himself had a difficult childhood. You can learn about his life through a documentary made by Mira Nair and available on Vimeo. The same documentary is also available on The Queen of Katwe website from Sport Outreach. Katende’s childhood involved the dangers of living in the bush with the violence of the DRC spreading over the border. In the film he becomes an ex-footballer who has had to retire because of injury and a qualified engineer with an excellent degree thwarted by the recruitment policies of local firms. This latter is explored through the class divisions in Ugandan society when Katende takes his brightest hopes, including Phiona and Brian to a competition in an upmarket school where the Katwe children are at first treated as aliens. At first glance, it isn’t difficult to see why Disney agreed to fund the film. It combines two attractive ideas for the studio – a bright and intelligent young female lead character (for a studio that has brought us Brave and Moana in the last few years) and a solid genre narrative as a ‘sports movie’ with a charismatic ‘coach’ and enough dramatic conflict, but also a ‘happy ending’. As a bonus it is based on a true story. Working with a director like Mira Nair is perhaps an innovation for the main Disney brand (as distinct from Disney’s previous ‘adult brands’ such as Touchstone). Queen of Katwe actually originated from ESPN, Disney’s majority-owned sports company in the form of a magazine article and book by Tim Crothers, but it is branded with the Disney logo. Nair has a distinctive approach which includes work with non-professional actors (e.g. in Salaam Bombay) as well as a background in documentary filmmaking. Madina Nalwanga had not acted before but she has trained as a dancer and the skills she has learned helped her to maintain composure in the role. 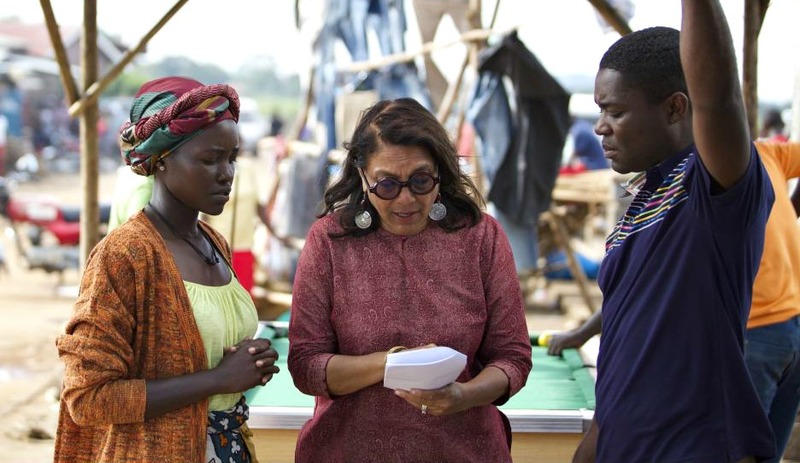 Mira Nair also has the local knowledge that is so important in making this kind of film in a country with limited film infrastructure like Uganda. She is married to a Ugandan and in 1991 she made Mississippi Mermaid which followed the story of an East Asian family from Uganda migrating to the American South. That story focused on the daughter of the family played by Sarita Choudhury. In the case of Queen of Katwe, it would appear that the Disney ‘front office’ kept its distance and Nair was able to make the film on her own terms in Kampala with support from the South African film infrastructure which has interests in East Africa. Mercenaire is the first fiction feature by writer-director Sacha Wolff. While it isn’t anything very unusual in terms of narrative structure or presentation, it scores heavily in introducing a new world for many filmgoers. This is a family drama and sports drama set in the context of post-colonial/neo-colonial French society. The central character Soane is an 18 year-old living in the Wallis Islands, an ‘overseas collectivity’ of France often considered to be part of New Caledonia in the South Pacific. One day he is spotted playing rugby (union) by ‘Abraham’, an agent who plans to ‘sell’ him to a French semi-pro rugby team and thence to take 10% of what he earns. Soane isn’t sure about this arrangement but he needs to escape from his abusive father and he duly sets off for France. But when he arrives the French ‘collecting’ club decide he is too small (though to most of us, like many players from the islands, he seems like a colossus). All Soane can do is to seek out a cousin and join a more desperate club who pay him peanuts but also find him a part-time job. Now he has his father and Abraham (who paid for his airline ticket) as enemies while he struggles to make a new life. How will it all be resolved? The two generic repertoires provide the narrative with some familiar elements, but there is enough different/unusual material to make this a worthwhile watch and the central performance by Toki Pilioko, a genuine Wallis Islander, is a standout. As the director points out in a Cineuropa interview, most people in France have little or no knowledge of New Caledonia. Soane is therefore treated as an immigrant and his teammates assume he is a Maori and call him an ‘All Black’ (a New Zealand international rugby player). Because of French colonial policy, New Caledonia is part of Metropolitan France and Soane speaks French. He does find himself in a multinational team however. One of the pros is a 35 year-old Georgian, forced to keep playing in the fourth tier (?) of French rugby in order to send money home. These ‘imports’ are treated very badly – paid little and forced to take illegal supplements to add weight and muscle. In a sense they are treated like cattle, similarly pumped with drugs. One ironic consequence of bringing in islanders to act as beefy props is that Soane appreciates one of the local young women who hangs round the team. She sees herself as a ‘fatty’, but Soane thinks she’s beautiful. I think the family drama is there to broaden the appeal of the sports drama. It is interesting as a narrative but I would have liked a bit more about semi-pro rugby as a business and a culture. The hot bed for rugby in France is the South-West and that’s where the film seems to be set. There is also a semi-pro rugby league structure in the region and I wonder whether this has the same problems with exploitation of islanders. Rugby league in the UK has recruited players from the islands (Fiji, Samoa, Tonga) and I don’t know if they are subject to the same kinds of racist colonialist attitudes. Most Pacific Islanders join teams in Australia or New Zealand and that is another story, beyond my knowledge. Sacha Wolff in his interview says he doesn’t know any other rugby films. Someone should introduce him to This Sporting Life (UK 1963), Lindsay Anderson’s classic British film in which a young miner (Richard Harris) is recruited by the owner of a professional rugby league team precisely because he demonstrates ‘spirit and aggression’ – something Soane has to learn both on the field and off it. More sporting dramas around these kinds of stories would be welcome. I’m not sure if Mercenaire will get any kind of international distribution, but I would recommend it. French TV clip with a report on the whole issue of recruiting Polynesians into French rugby. This film, written by David Storey and directed by Lindsay Anderson, is one of the best films from (what is sometimes called) The British New Wave. Partly filmed in West Yorkshire the film has a splendid performance by Richard Harris as Rugby League star Frank Machin. And opposite him is Rachel Roberts, equally fine as widow Margaret Hammond. The film is about about Machin’s career in a Yorkshire League club but also his doomed relationship with Margaret. The fine screenplay and acting is ably supported by the black and white cinematography of Denys Coop, the music of Robert Gerhard and (especially good) the editing by Peter Taylor. Lindsay Anderson was a key member of the new-style cinema in the 1960s. He was also an influential writer and mentor. His film output never quite matched his talents, but with this film and the better-known If… (1968) he left two memorable films. “the most completely achieved of the “new wave” films, because the most passionately felt and ambitious.” (In Never Apologise The Collected Writings of Lindsay Anderson, edited by Paul Ryan, Plexus 2004). The ambition is apparent in the radical style of the film, most noticeable in the editing: the timeframe and structure of the narration approach the avant-garde. This is a film that shows most clearly the influence of the nouvelle vague on British film at this time. There is a fine supporting cast, including Alan Badel, William Hartnell, Colin Blakely and Vanda Godsell. Whilst the film’s techniques are impressive, the drama is absorbing and moving. So the good news is that Hebden Bridge Picture House are screening it as part of their ‘reel films’ in 35mm on Saturday June 4th. The last time I saw the print it looked good (in 1.66:1), certainly better than the recent DCP transfer which did not serve the cinematography well, and which made some back projection fairly obvious.